You can easily import broker loads with one click! What kinds of dispatch sheets can be imported. How to import any dispatch sheet from these brokers. What brokers can you import from? 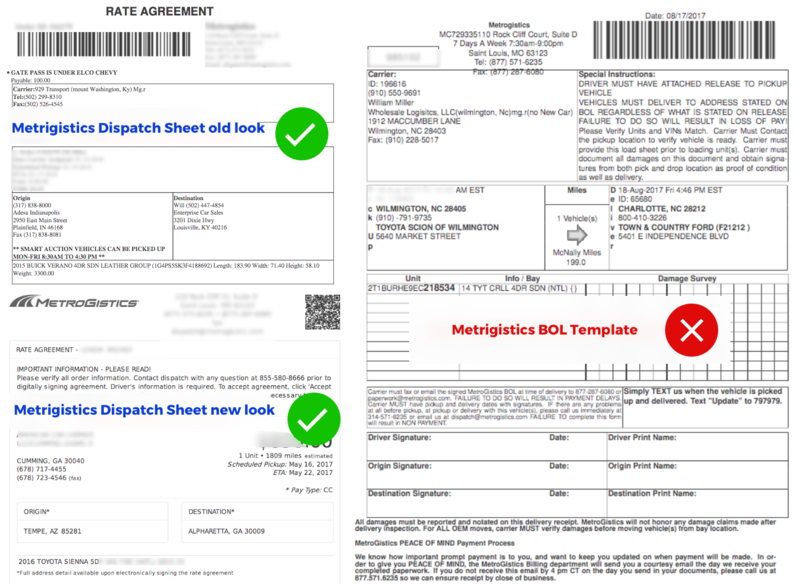 Remember: we support only Metrogistics dispatch sheets, not BOL template. Please go to the dashboard of the Broker (such as, your metrogistics dashboard,) log in into your account, find an order that you want to import and save it as a PDF in your computer. Then go to Super Dispatch dashboard and log in into your account. Click on Import Dispatch Sheet... button to import the Metrogistics dispatch order. 4. 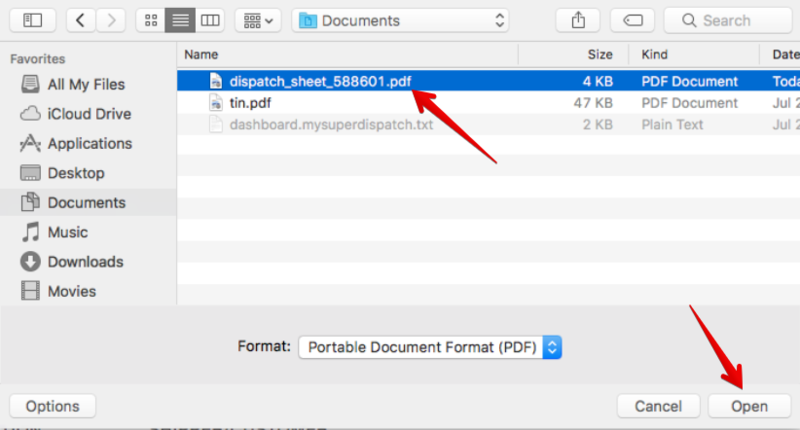 Select the dispatch sheet and click on Open. 5. By clicking Open, the Super Dispatch Edit Order page will be launched, and the vehicle information and pickup/delivery information will be auto filled. 6. 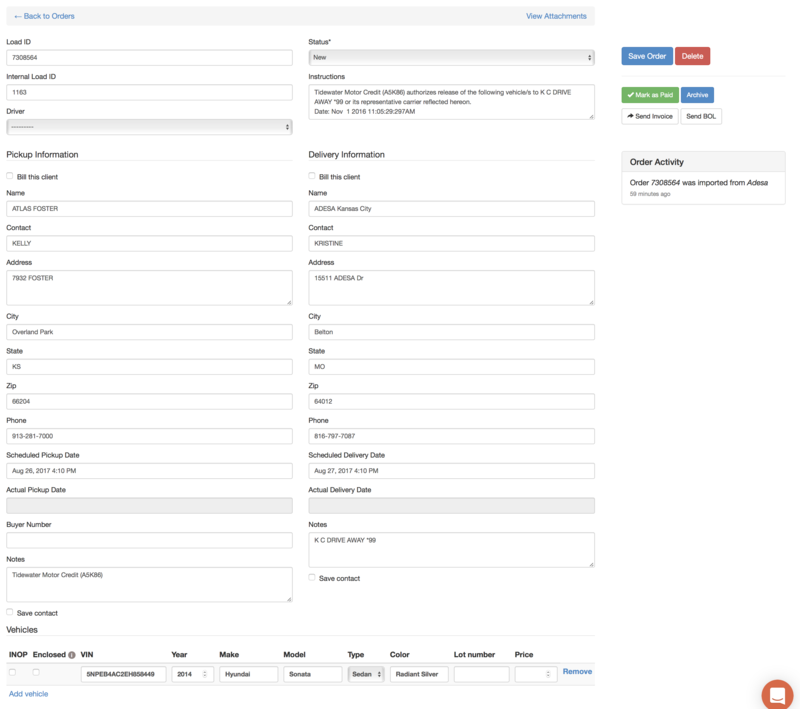 As a Super Dispatch Dashboard user, you are now ready to edit the information and assign the order to a driver. Don't forget to press the blue Saver Order button before moving on to a different screen.